Are you a Developer? Are you an Architect? This book is written by industry veteran Sudhanshu Hate and Suchi Paharia. Both authors have articulated their real time experience in simple words suited to both developer and architect community. Still book is yet to be out and I strongly recommend you to have a tryst with this to get yourself to the next level either as developer or architect. 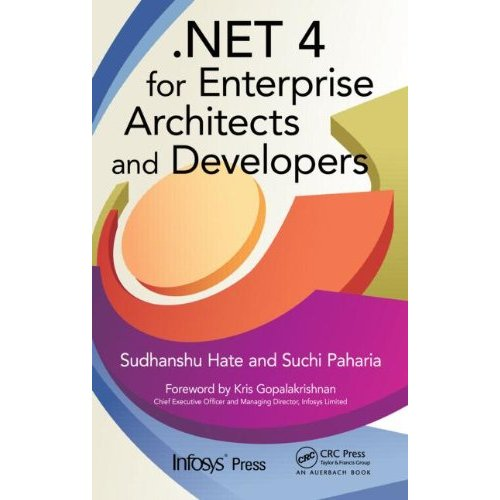 The book not only helps build in-depth understanding into .NET Framework 4 technologies … but also presents our insights and points of view to help you succeed by making the right choices. Join us as we embark on this fascinating exploration. Happy reading! 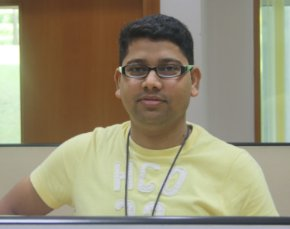 :Prasad Joshi, Vice President, Infosys Labs, Infosys Ltd.
With 13 years of experience, Sudhanshu is currently focusing on Windows Communication and Workflow Foundation technologies from the .Net 3.5 and 4.0 stack. Previously, Sudhanshu has led solution architecture and development teams on Legacy Modernization and Business Intelligence and was also instrumental in taking Infosys’ Catalytic IT solutions to customers in EMEA.